Hello Linux Geeksters. 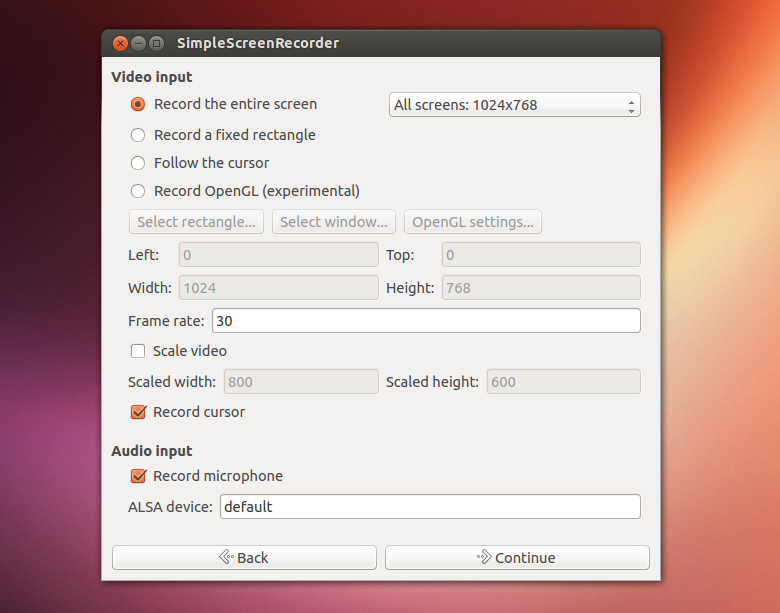 As you may know, Simple Screen Recorder is a screen recorder application, with support for X11 and OpenGL. Having a simple and intuitive GUI built by using the Qt libraries, it enables the users to easily record both the entire screen (having multi-monitor support also) or parts of it only, or OpenGL applications. Among others, it keeps the audio and video synchronized, by reducing the video frame on slower PCs, it has support for multi-threading, allowing the users to launch new apps while recording. The latest version available is Simple Screen Recorder 0.1.2. In this article I will show you how to install Simple Screen Recorder 0.1.2 on Ubuntu 13.10 Saucy Salamander, Ubuntu 13.04 Raring Ringtail, Ubuntu 12.10 Quantal Quetzal, Ubuntu 12.04 Precise Pangolin, Linux Mint 16 Petra, Linux Mint 15 Olivia, Linux Mint 14 Nadia, Linux Mint 13 Maya, Pear OS 8, Pear OS 7 and Elementary OS 0.2 Luna.